It is well publicised that ‘singing is good for you’ and The Lune Valley Voices strongly believe in that. This is a lively informal group, open to all who like to sing with others. 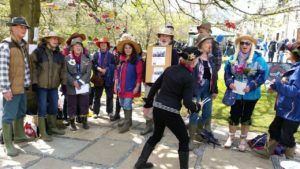 Songs are taught by ear, so there’s no need to be able to read music and we sing mainly in unaccompanied harmony, although it has been known for a guitar to accompany a few ‘pop’ songs. Repertoire is drawn from all round the world, and the challenge and sound of different languages and styles all add to the feeling of satisfaction when we get it right! 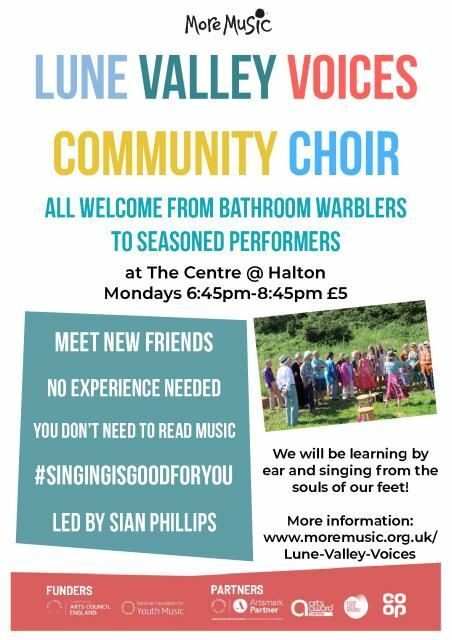 The Lune Valley Voices meet in term-times in Meeting room 1 at The Centre on Mondays from 6:45pm – 8:45pm, cost £5 per session. New members are very welcome. Come and join us! The contact number for this group is 01524 831997.